This pendant is from our ‘Cridhe’ collection, meaning ‘heart’ in Gaelic, and is made exclusively by Love from Skye on the Isle of Skye. 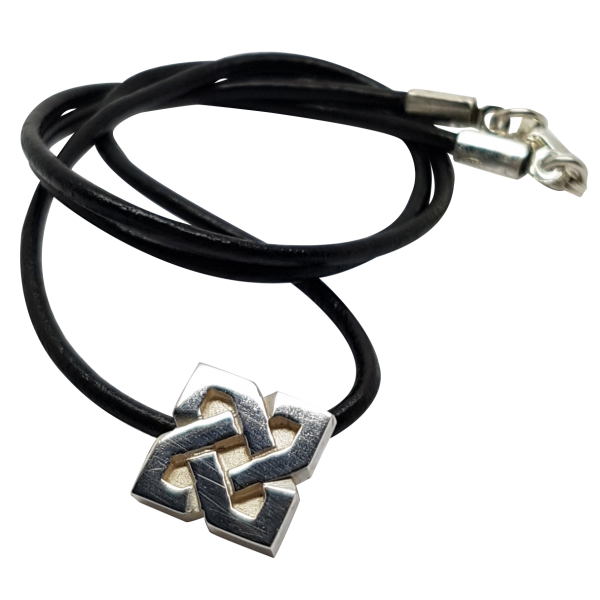 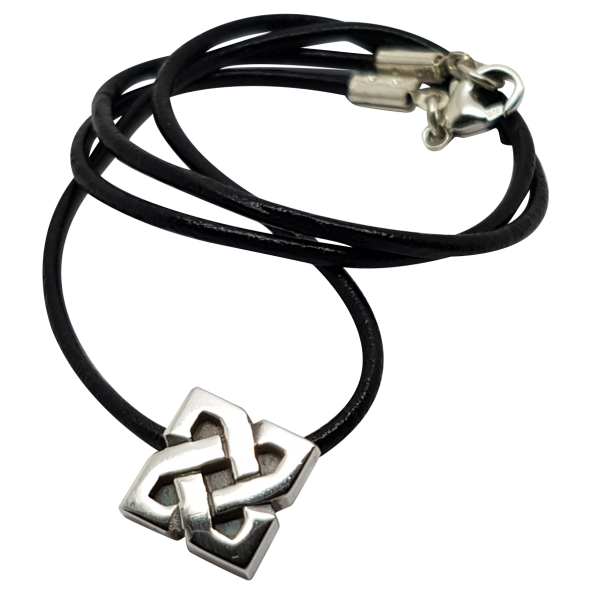 This closed knot-work Celtic pendant is made from Sterling silver and measures 11mm square, with an 18 inch waxed leather thong (with Sterling silver fittings). 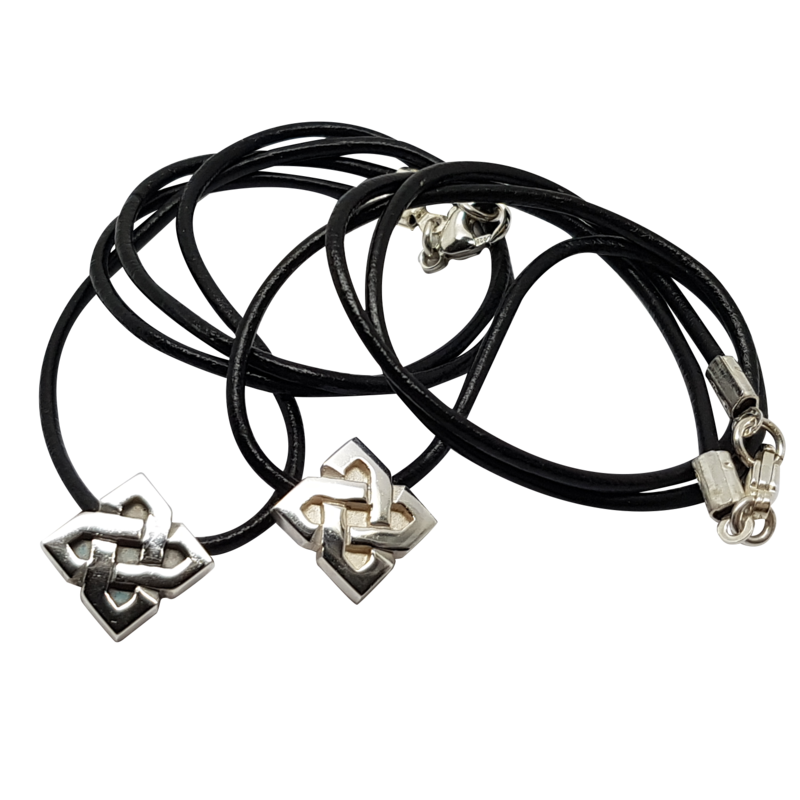 If you would prefer a different length of leather or style of chain, please contact us for more details and please also see our information page.